Lined with high-quality Sherpa that offers superior comfort and warmth, the Flexitog Sherpa-Lined Thermal Gloves FG430 keep hands protected in adverse and extremely cold temperatures. They use an anti-pill fleece that offers impressive longevity, while hollowfibre insulation and dual fleece layers trap air from escaping for a warm and comfortable fit. The Flexitog Sherpa-Lined Gloves FG430 use a high standard Sherpa lining for enhanced and durable warmth, while the dual fleece layers and hollowfibre insulation work together to trap air and prevent hands from becoming cold. An elasticated wrist ensures a secure fit with no cold draughts entering the gloves, while impressive dexterity means that the user has total control when handling materials. 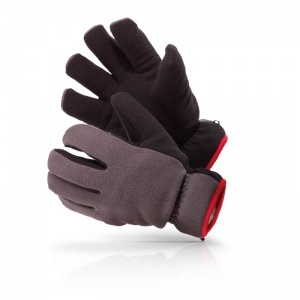 The Flexitog Sherpa Lined Thermal Gloves are available in one size that should be suitable for most users because of the flexible nature of the design. To find your perfect pair, please measure the circumference of your palm and match the results to the table below.